Place for a Lindy Hopper to be. 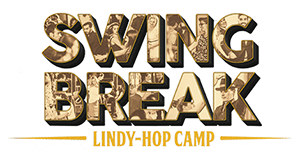 We are happy to announce even more international teachers teaching at Swing Break this year! Croatia has one of the most beautiful coast in the world and very nice climate, so it is a great place to have a relaxing and enjoyable swing camp. Towns have beautiful old city center, that date all the way to venetian times and they offer nice architecture and perfect ambient for romantic strolls. If we make it short: Croatia is super for all that know how to enjoy the life and we, Lindy Hoppers, sure do. Even though Swing Break is held in Croatia, is organized by 1st Slovenian swing dance society, called VINTAGE SWING. Aside Swing Break Vintage Swing organizes also annual VINTAGE SWING FESTIVAL. This year it will be from 11th to 13th of November. HOT SUGAR BAND will be official band playing on the evening parties and festival always feature renown international instructors. In 2014 even "the Queen of Swing" NORMA MILLER attended VINTAGE SWING FESTIVAL. Come to Celje and join the fun.